MoviePass may not be dead — at least not yet — but the service is now a far cry from its original “all-you-can-watch” moviegoing pitch. Following a massive outage last week and an emergency loan to keep the service up and running, MoviePass announced on Monday that it would have to significantly curtail the benefits it provides its users, including the ability to see new first-run movies, to keep the service from going under. Unfortunately, there isn’t really a true MoviePass competitor that will let you see a movie a day all month long for $10. But that’s primarily because MoviePass’ business model was so poorly thought-out that it essentially drove its owner to the edge of bankruptcy. 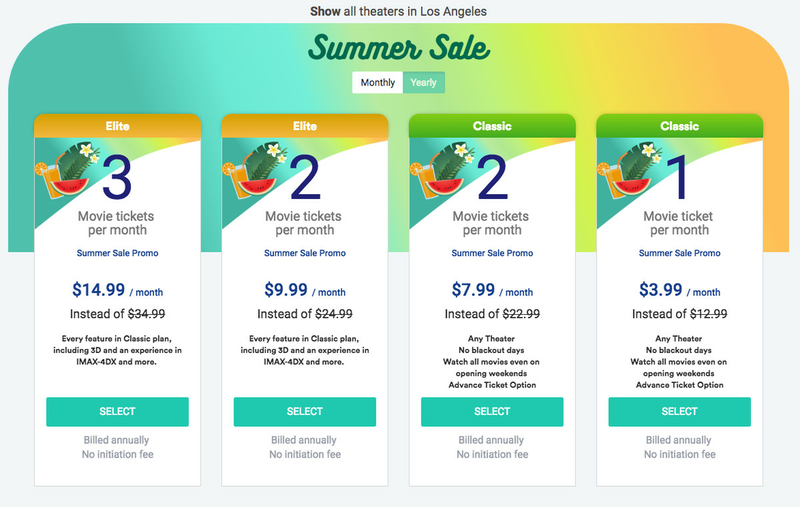 Instead, the few existing MoviePass alternatives operate more like discount services: you essentially get discounted movie tickets in exchange for a monthly fee. There are also usually some strings attached or a few extra benefits tossed in, depending on the service. AMC Theatres has been one of the most vocal critics of MoviePass, starting when the service dramatically lowered its price back in August 2017. As the biggest theater chain in the world, AMC arguably had the most to lose with MoviePass’ success. MoviePass was essentially a third-party entity inserting itself between AMC and its customers, setting prices and expectations that were incompatible with AMC’s own business. That said, AMC’s stature in the industry also made it the theater chain that was the least susceptible to MoviePass’ attempts at hardball negotiating tactics. It took the chain quite a while — and quite a lot of gloating and shade thrown between the two companies — to offer up its own MoviePass-style subscription service, which was announced back in June. It’s an extension of its existing Stubs rewards program, and it’s actually the best service for the money and the closest thing to MoviePass you can get. WHAT YOU GET:Three movies per week, regardless of whether they’re IMAX, 3D, AMC Prime with Dolby Vision, or any other premium format. (This is actually a step up from MoviePass, which was limited to entry-level, 2D screenings.) You can reserve seats in advance, book multiple movies per day, and use the service at any of the more than 600 AMC theaters nationwide. Subscribers also receive a 10 percent discount on food and drinks and get access to the speedier premium members line at the concessions stand. LIMITATIONS:Very little. 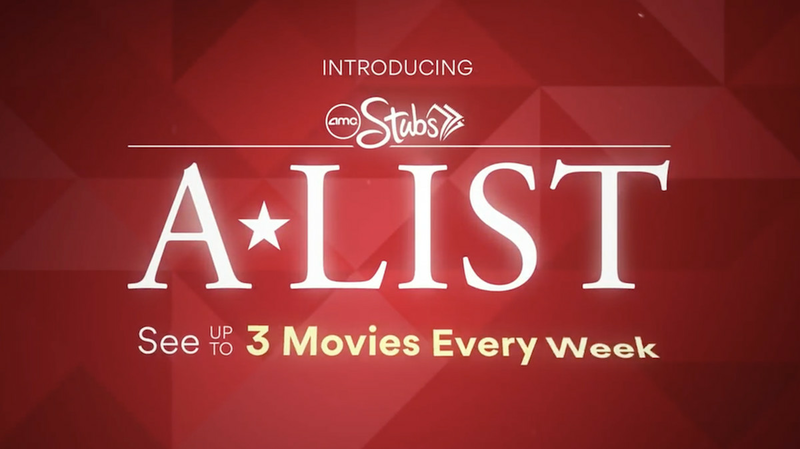 Stubs A-List lets you see any film format, and there are no restrictions on what types of films you can see or how close to release day you can see them. There’s just the three-movie-per-week limitation, and that’s about it. The only other compromise you make with A-List is that AMC theaters typically don’t carry arthouse films, so you may not be able to see every movie you’d like with it. Founded in 2014, Sinemia is more of a traditional discount movie ticket service than AMC Stubs A-List, although it’s been riding the MoviePass hype wave this past year. The company essentially sells you anywhere between one to three tickets for a monthly fee. The issue here is that you have to do some thinking ahead and make sure there’s going to be the right number of films released in any given month to justify the cost. There are also some restrictions on the pricier formats like 3D and IMAX if you don’t have the right plan. That said, it’s a decent deal that works well for people who plan on going to the movies at least once or twice every month. There’s also a service-wide summer discount in place at the moment, so it’s worth signing up soon at the lowered rate if you’re interested. WHAT YOU GET:Access to any movie at any time with no blackouts and no theater restrictions whatsoever. Sinemia basically loads the funds onto your own personal debit card with the cash necessary to purchase your ticket, and then you’re good to go. The classic plans don’t have access to IMAX or 3D movies, but the more expensive “elite” plans do. You can also purchase tickets in advance for theaters with seat selection. LIMITATIONS:You’re basically just pre-buying cheaper movie tickets, rather than joining a more flexible service you can use multiple times a week. You also can’t see multiple movies on the same day, and there doesn’t appear to be a way to buy additional tickets within a given month. You’re stuck with just one-, two-, or three-ticket tiers. Sinemia also appears to limit you to one 3D, IMAX, or other premium format screening per month, regardless of your plan. So if you purchase the Elite plan for $13.99 that comes with three tickets, only one of them can be used for a premium format screening. Additionally, using advanced ticketing requires you use a third-party service like Fandango, which charges a service fee unless you subscribe to AMC Stubs or Fandango VIP Plus. Cinemark’s subscription service provides the least value for the money, in that it really only provides a single discounted movie ticket per month. But if you’re a frequent Cinemark customer and you like to see movies with friends, this could make sense since it does let you purchase additional tickets at a discount. What it has that no other service offers is a rollover credit program. Unlike A-List or MoviePass — both of which benefit from you treating the service like a gym membership you’ll likely never use — Cinemark actively lets you skip a month and use your credit later. WHAT YOU GET:One 2D movie ticket credit per month, which you can upgrade to a 3D / IMAX version by paying an additional fee. Credits roll over from month to month if you do not use them. You also get 20 percent off concessions, a perk you’re able to share with a friend by letting them scan your Cinemark ID. You can also use the membership to buy additional $8.99 tickets for you or your friends at any time. Lastly, you’re able to waive online fees for booking ahead through the company’s website or mobile app. LIMITATIONS:No 3D or IMAX screenings without paying extra, and you can obviously only access Cinemark theaters. Only one ticket is included for the base cost, although subscribers do have the option to buy additional tickets at the same discounted price.